The amazing story of one woman’s bravery and determination to deal with a situation imposed upon her by a man who instantly disappears. 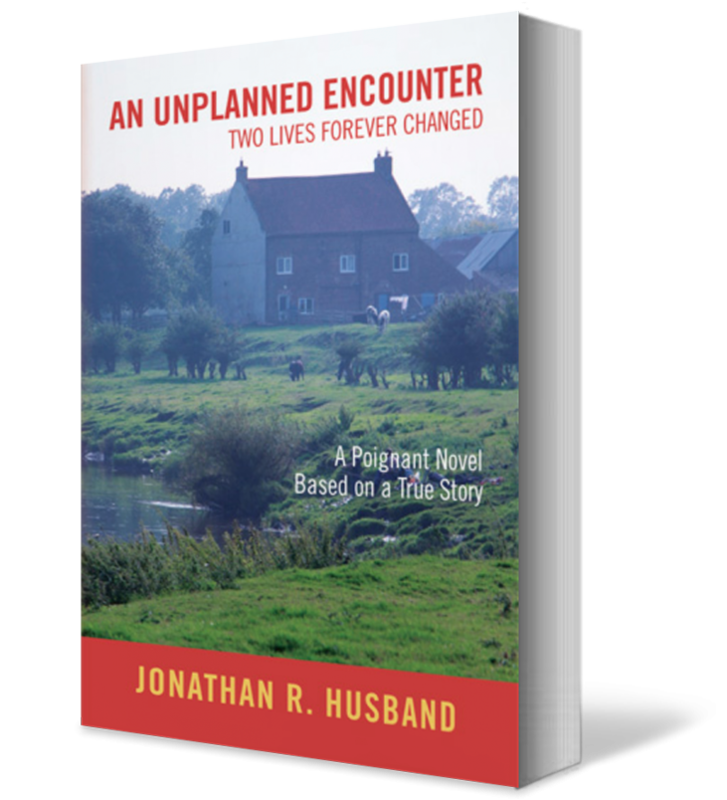 A Gift from God very much captures the theme of an An Unplanned Encounter: Two Lives forever Changed, as it tells the amazing story of one woman’s bravery and determination to deal with a an unplanned pregnancy, to keep the baby, and make certain the child receives the support she was denied. Faith is a critical ingredient. She speaks of listening to “Ave Maria” as the baby is born, and regularly attends church thereafter. The father of the child steps out of her life, even before the son is born. The narrative demonstrates that although the illegitimate child can be successful, it comes with negative consequences on the mother. At times troubling, but with a comfortable ending, the tale begins in Britain during the Second World War and ends in the early 1970’s. Mary Louise, a 20-year-old single girl, is at the center of the story as she struggles to keep her child, despite objections from the people around her. She leaves home, enters a difficult marriage with someone more than twice her age, and all the time, diligently protects her son and gives him the opportunities she forfeited as a consequence of the unplanned encounter. Separately, we read about the effects on the father and watch as his life retreats from success into failure. Despite generous reviews, the novel’s literary quality reflects my inexperienced abilities at the time I retired. 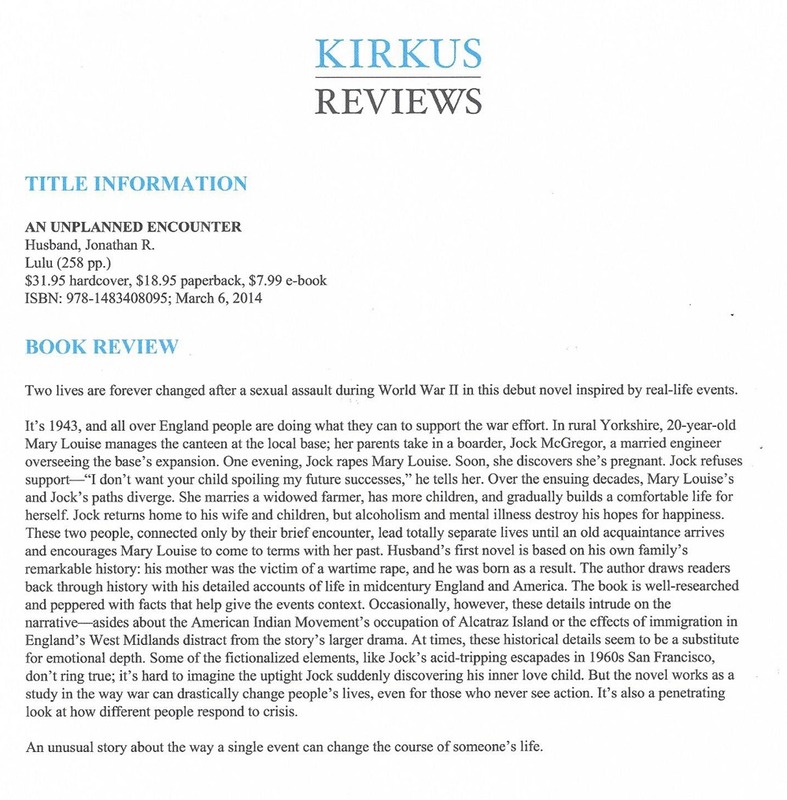 Probably the Kirkus review most accurately captures its strengths and weaknesses. It none-the-less is a genuine story and offers insights into situations which create very conflicting points of view. While based on true events, much has been added that is fiction. The pseudonym I used was essentially the name I was given on birth. CLICK HERE to download the free bookmark! This title is also available through other on-line retailers. The initiative for writing, An Unplanned Encounter: Two Lives Forever Changed, originated out of a discussion I had with my mother during December 2007. At that time she was aged 84, and it was the last time I saw her alive. After many years of silence she told me how I had been conceived and why the events of my childhood were as I could remember them. She talked of the physical assault, and in her words, added, “ I never dated him. He was the lodger who lived with my parents……”. He was the civil engineer responsible for the construction of a nearby Bomber airfield that was part of the Allied preparation for D-Day. In the village community, he was a person of importance, or according to my grandmother, “the bee’s knees”. My story is founded on what my mother told me, along with a report on her life that she prepared when she was fifty five. I can’t speak for the accuracy of what she spoke or wrote, but I have no reason to believe she misrepresented the truth. Only her unwillingness occasionally to confront the whole story might distort my manuscript. After her disclosure, she asked me not to do anything with what she had told me while she was still alive. She was ashamed and didn’t want to resurrect the past. I complied. Following her death, curiosity got the better of me, and I tried to track down my father. Surprisingly I was successful, although found that he was dead. Instead, I discovered my half sister, who shared her recollections from her side of the family, and is now one of my best friends. What she told me is also part of the novel. I invite you to read what I have written, and ask you to leave a review if you think it would help others decide whether or not to purchase the book.